Venezuelan presidential candidate Henri Falcón vowed his campaign will win an “avalanche of votes” that will “sweep [Nicolás] Maduro out of power” in an op-ed published by the New York Times on Monday. In the article entitled “Why I Am Running for President of Venezuela,” Falcón attempts to discredit arguments made by the country’s opposition that the election will be rigged in Maduro’s favor and Venezuelans should boycott it. “Some of my fellow members in the opposition coalition have called for boycotting the election, claiming that misconduct by the regime makes a free and fair vote impossible,” Falcón wrote. I agree that divisions in the opposition are harmful to our cause. Still, since the overwhelming majority of Venezuelans want to vote, my responsibility is to stand by our people, even if it means breaking with the minority that wants to sit out the election. I will continue to devote my efforts to convincing others to join our cause and help it grow into the avalanche of votes that will sweep Mr. Maduro out of power. Some of Falcón’s campaign promises include securing international assistance to ease the strain of the country’s humanitarian crisis, creating a “conditional cash transfer” system aimed at eradicating hunger and the freeing all political prisoners. 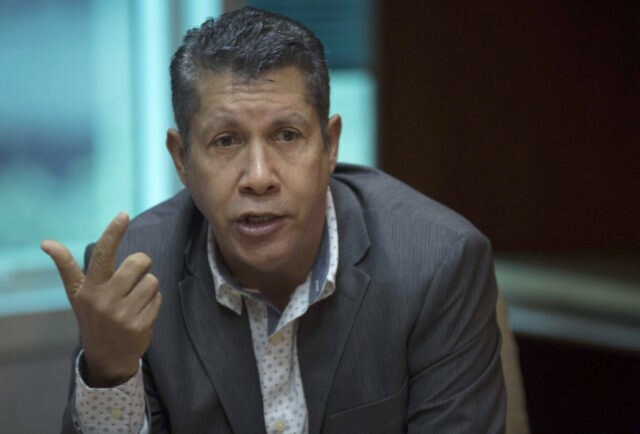 Falcón also blames the country’s current crisis on “two decades of mismanagement” that involved oil money being “squandered and stolen,” but makes no reference to his own support for the policies of the Chávez administration. Analysts argue that Falcón’s belief that he can win is farfetched given the Maduro regime’s repeated rigging of elections, including the last presidential election, where substantial evidence suggests opposition candidate Henrique Capriles Radonski won by a comfortable margin. As well as their use of highly developed voter fraud systems, the Maduro regime has also banned opposition candidates from running, such as Capriles and Popular Will leader Leopoldo López, currently under house arrest for organizing peaceful protests in 2013. “My plea to Venezuelans who oppose Mr. Maduro’s despotic rule is to reach across our divisions and reunite around the common project of a better country,” he concluded.